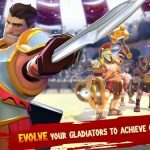 Playdemic’s latest iOS game Gang Nations is a stunning blend of tower defense and combat strategy set in a unique urban environment. In other words, it’s a game that mixes elements of Clash of Clans with your usual tower defense gaming mechanics, but as the title suggests, it’s set in a tough, gang-infested urban environment. You’ll be creating a gang of “hoodlums, thieves, convicts, and many more” and going up against rival factions. Now, if you’re really looking to be the toughest gang in the ‘hood, you’ll want to check our compilation of Gang Nations cheats and tips, whether you’re a new player or someone who’s been enjoying the title for a while. For starters, you’ll be kicking off the game with only one worker, and that’s obviously not going to cut it if you want to build your base quickly. As such, you should hire a second worker the moment you’re able to do so, and make preparations to hire a third worker as soon as you could. Gang Nations’ mechanics are slightly different from the usual titles that involve upgrades. That being said, your first priority should be your Storage upgrades, followed by your Resource upgrades. That’s because storage starts out quite low, and can get filled up quickly. Since you’ll want to steal as many resources as possible and enough space to keep those resources, you should put a premium on upgrading your storage. 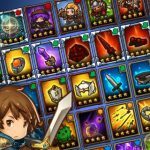 Once you’ve reached a point where your storage and resources are adequately upgraded, you should focus on both offense and defense next. That would mean leveling up towers and traps and unlocking more troops. Your first instinct may be to raid other bases and flex your gang’s muscle, but that’s actually not a very wise idea. 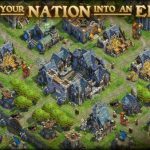 As your base would still need a lot of work done to it and your troops too weak to inflict significant damage, you’ll be starting with a couple days of protection. What you’ll want to do is to gain resources through single player missions, while fortifying your base. Once your days of protection are up, that’s when you can attack other players’ bases, particularly those who chose to forfeit their protection time in advance. Since the goal of Gang Nations is to earn more profit, that means you shouldn’t put all of your eggs in one basket – in other words, don’t send your troops off full force, but send as few as possible. You want to fight smart in here, rather than rely on any strength in numbers. The Boss Mansion is, by far, the most important part of your base – if an opposing gang destroys it, that’s the end of your base as you know it. Taking this into account, you should definitely protect your Boss Mansion more so than other buildings. Make sure it’s located somewhere that’s hard for opposing gangs to reach, with several less-essential buildings surrounding it and serving as decoys.